Apple has announced the second-generation AirPods with a new H1 chip, "Hey Siri" support and a wireless charging case. Apple has launched the second-generation AirPods, featuring a new H1 chip and a wireless charging case. 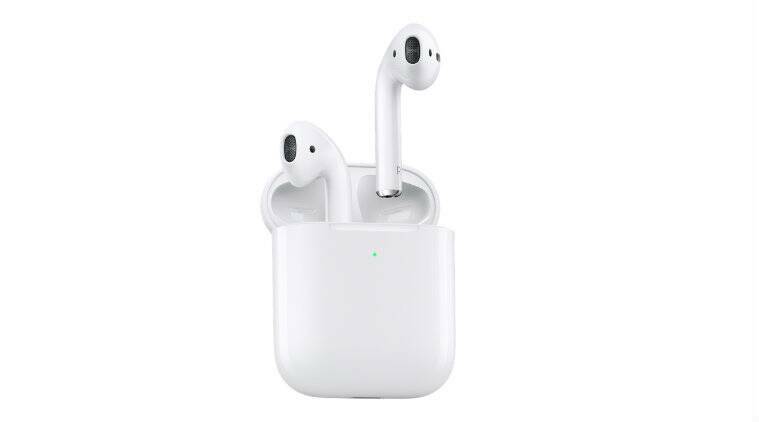 The AirPods 2 succeeds the original AirPods, which were launched in 2016. Earlier this week, Apple also unveiled new iPads as well as faster iMacs. AirPods have constantly been rated as the world’s most popular wireless earbuds. The new version of AirPods now comes with a new Apple H1 chipset, designed and developed for headphones. The H1 chip allows faster connect times, up to 50 per cent more talk time compared to the original AirPods and even enables hands-free “Hey Siri” feature. Additionally, the chip allows faster switching between your iPhone and Apple Watch. The next-generation wireless earbuds will be made available with the standard charging case or the new wireless Charging case. Both case, according to Apple, will hold up an additional charge “for 24 hours of total listening time”. And yes, the wireless charging case is Qi-compatible. In terms of pricing, the all-new AirPods with standard casing is priced at Rs 14,900. Meanwhile, AirPods with the wireless charging case will set you back by Rs 18,900. Both versions will come to India this Spring. Apple will also sell the standalone Wireless Charging Case for Rs 7,500. Next week, Apple is holding an event on March 25 in Cupertino, California. The Tim Cook-led company is rumoured to launch its video and news subscription services.